So you know that I am having my exams this week and next week. One this week, 4 next week. No justice right? I am essaying it up in history and English, trying to understand the French news and right now, mathsing (yes it is a word… now ;)) like there is no tomorrow. Fun no? Anyway, I decided to put a positive spin on my not-so-awesome life right now by using it to my advantage. Is that even possible? In my case, I cannot say for you because I am not sure, but if I have time, I want to spend it in the kitchen. Always. More often than not, this means making dozens of cookies or frosted cheesecakes and I completely forget about all those quick recipes because, to be brutality honest, they just DO NOT give enough kitchen time. This breakfast woke me so fast and has such little prep time, it’s a miracle I am not eating it for lunch and dinner too! 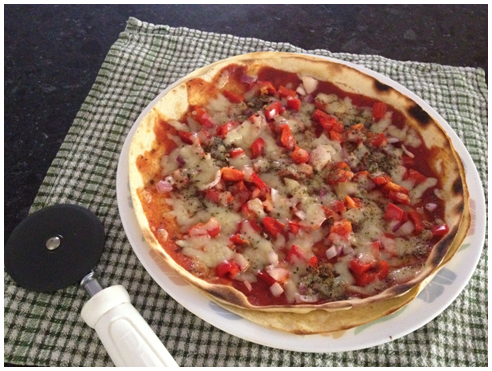 Sometimes a quickie is all you need – all of your under 5 minute recipes look so good! I still love the pizza wrap idea, and I still think its brilliant! That is a whole ton of flavor in that cup! I guess you figured out how to make lemonade out of lemons with this! Best of luck with your exams… as always you give me so many yummies I want to try. Thanks. 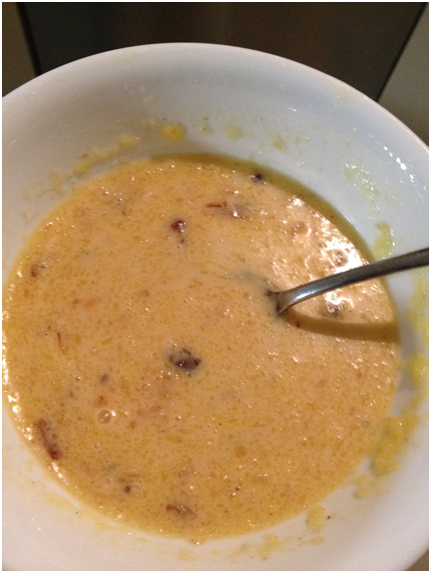 It is as super as anything in the world to match an instant breakfast…..love the recipe…and u r fast recipe ideas…. Good luck with all your exams! I would be snacking on all those goodies for brain nourishment! Brain food never looked so good! Good Luck with those exams!!! Banana Chocolate French toast sounds like great energy food for studying. Best of luck with your exams! Wish you the very best for you exams Uru! Love everyone of those recipes :)) You are absolutely brilliant young lady! I just wonder when you have time! The recipes you’ve referred to are all lovely and decadent. I wish you well on your exams. Study, study and then study some more. Better you than me. Step 7 = my favorite. This looks SO good! Good luck with your Exams, study well , sure you are going pass out with flying colors. These breakfast in mug looks delicious, perfect and easy for a person like me with two crying babies around. Love the 2 min cake. Have been planning a recipe and will look at yours. Bookmarked! God bless you with your exams. I’m sure you will do well. You’re very bright. Oh my, these are so yummy! Good luck on all of your exams. That is not something I would ever like to go back to. Keep up with the delicious breakfasts though. They are always helpful on exam days. I always forget we’re in totally different seasons! In America all the kids/young adults are out of school for summer vacation. Good luck with your exams. With gorgeous breakfasts like this, you are sure to power through successfully. But soon, my holidays will be here too! Thank you for the wishes! Exams are the worst part of being a student and somehow you’ve just made it the most delicious time of the year with that list of quick-fix treats. You, my girl, should be called a “Sweet Genius” (a Food Network show) 😉 All the best for your exams, I’m sure you’ll score as perfectly as you bake! Awwww *blushes* too sweet my friend! Fantastic list of treats! Best of luck on your exams. I think it’s great that you’ve found some great quick desserts to make while you’re in finals. Good luck! Love that creative breakfast. Sure to get the brain going first thing in the morning. All the best with your exams. This all looks great, I would definitely like you as a housemate if I went back to uni!! You reminded me of my college years! I was eating like this during exams too! 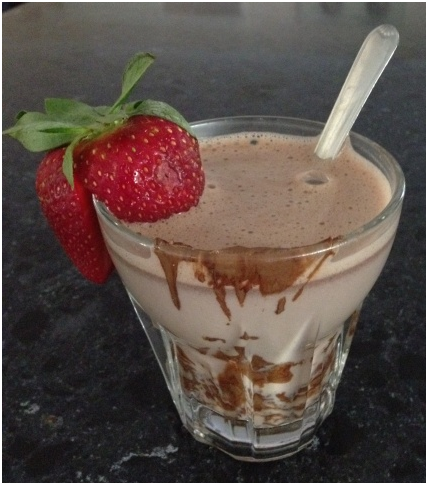 Great way to satisfy your craving! I may not be a student anymore, but I can for sure appreciate a quick dessert! Good luck with exams! Good luck on your exams. Tasty looking treats as usual. I am going for the pizza, LOL. good luck with the exams! i love this breakfast idea! These are all so freaking BRILLIANT! I don’t know how you do it! 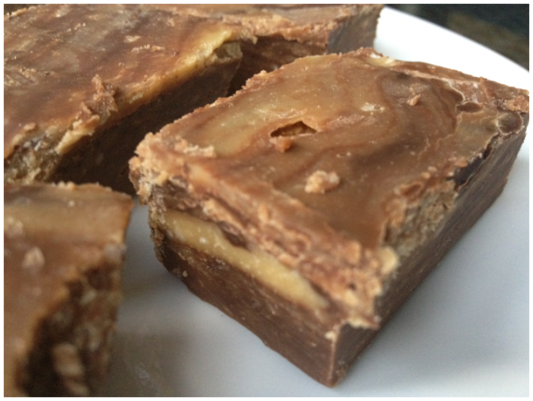 Also, good luck with exams …I’m sure with all the yumminess, it’ll fuel you to an A+!!! 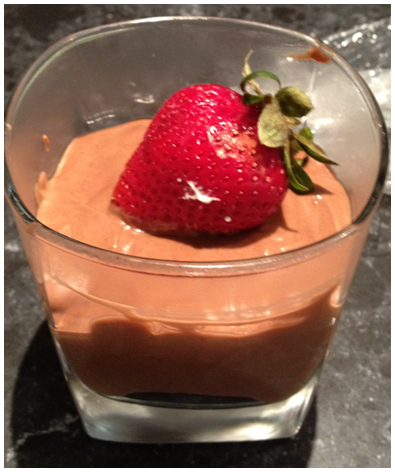 I love that I can count on your blog to supply me with nutella recipes that can curb my nutella cravings. 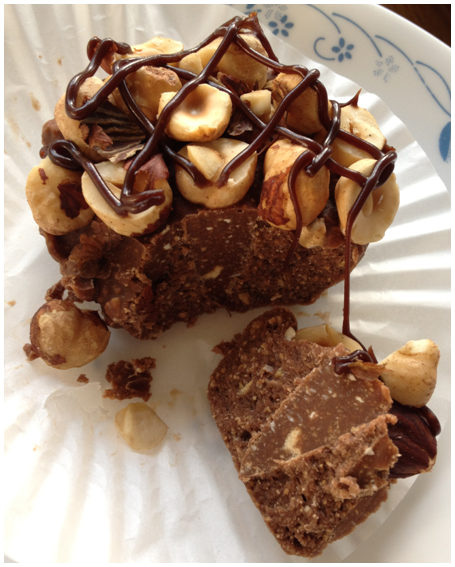 Anytime I need my nutella fix, I know that if I come to your blog I’m guaranteed an amazing nutella recipe. You are the chocolate/nutella queen. Good luck on your finals, my friend. You are very very sweet, thank you! Dear Choc, how did you get so brilliant at such a young age? You amaaaaaaze me with your many gifts. Totally in love with your creation. 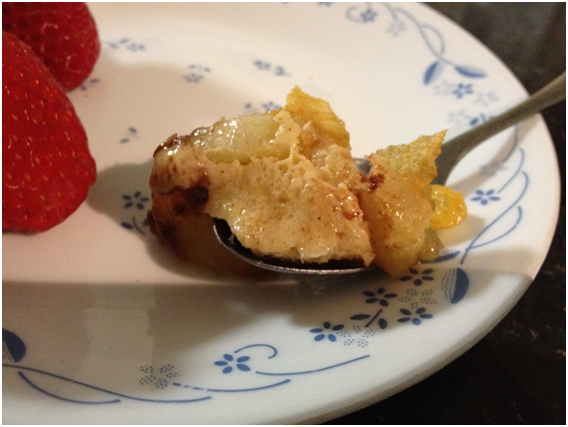 Quick, easy and really yummy!! You are out of control – but in a good way. Thanks for all the quick recipes to try! Good luck on your exams! And I, too, rarely cook recipes that don’t take much time, but many of them are totally tasty, not to mention easy. Good stuff – thanks. Now THAT’S a list of exam-helpers if i ever saw one. And your cereal is genius. You can’t help but ace everything! Really excellent ideas & sure ways to kick start your brain cells when they get sluggish. Good luck w/the exams…almost there. Rewarding yourself is essential to keeping yourself motivated, so keep it up with the quick and easy recipies. The kitchen will still be there when your exams are over. Thank you, I love your calming advice my friend! lately it seems like all I have time for is quick and easy:) That french toast idea looks great! Good luck on your exams! 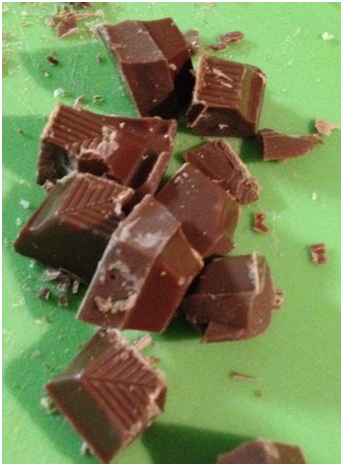 It’s too bad you don’t like chocolate…or sweets, CCU! 🙂 I’m loving the perfect hot fudge sundae nutella banana grilled sandwich. What a super idea! Your posts are always so fun and make me smile. Good luck with those exams and papers. What a sweet way to start the day…I hope it helps you attain good marks on all your exams. I am salivating just looking at those pictures! The grilled banana sandwich and the nutella cupcake are winners for me 🙂 Thanks for sharing! All these quick treats look awesome. This Choc. banana french toast looks really mouthwatering. Good luck with your exams! Any one of those quick recipes would satisfy my sweet tooth. They all looks so delicious. I do not miss having to study, but good luck to you! All of these desserts are definitely necessary for you to do well! So cool! I love all your quick little recipes! Good luck on finals! Looks yummy! Best of luck on your exams! Hey Uru, I know the feeling. I’ve got prac tests and a written this week for end of semester (but luckily) I’m still cooking-but the dishes are homework of course. Good luck and liking those quick bites and snacks you got going! Have fun though and best of luck my friend! 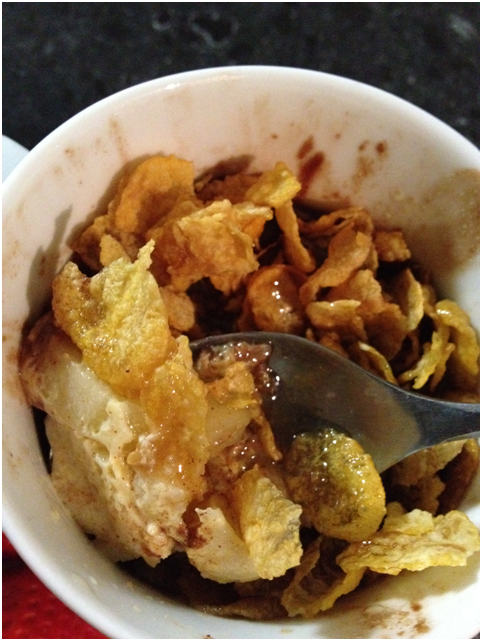 ooh, the new recipe looks great + i love the crushed cereal on top. i bet that adds a great texture! good luck on your exams – i’m sure you’re going to do great! All of these sound delicious! I especially want the apple one. Yum!! We just might have to add this French toast to our quest. 🙂 Yum! Good luck with all of your exams. 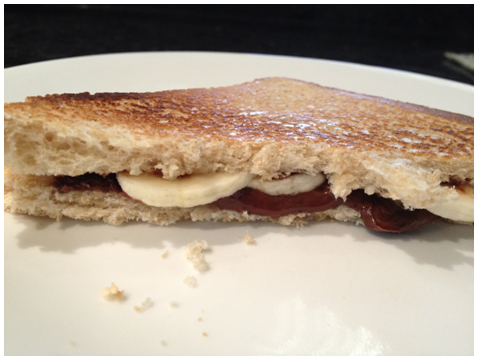 Goodluck with your exam,I love your quick recipe especiallly banana and nutella grilled sandwich YUM !! Looks delicious! Good luck on your exams! I love all your quick recipes…especially that pizza wrap 🙂 Good luck with your exams!!! This quick and tempting meal are awesome! Thanks for the inspiration! It looks fabulous and I love the wrap pizza idea. Good luck with your exams! Good luck with your exams! With one of these breakfasts inside you, you’ll have plenty of energy to do well. I used to tell my students to get some oats down them to maintain their blood sugar level throughout the exam. 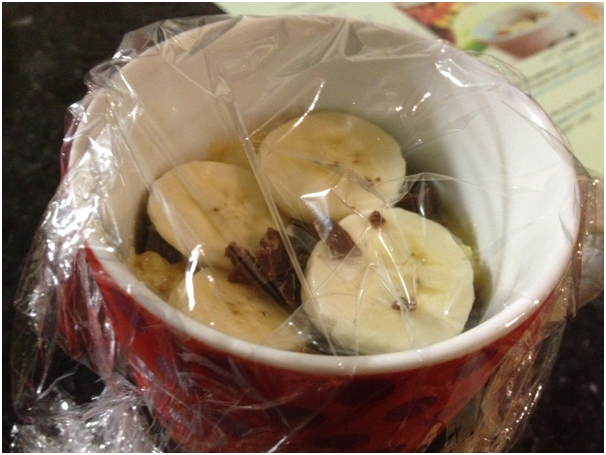 Just add some to that amazing banana concoction and you’ll have the perfect sustaining feast! Good luck on your exams! I think there are only a few things I do not like to eat and bananas is one of them, but I bet it would be good with blueberries too! And you bet – any fruit would be awesome! Sounds delicious! It’s amazing how creative some people can get with their microwave. So many use it for nothing more than a leftover warmer and popcorn burner… Great job! 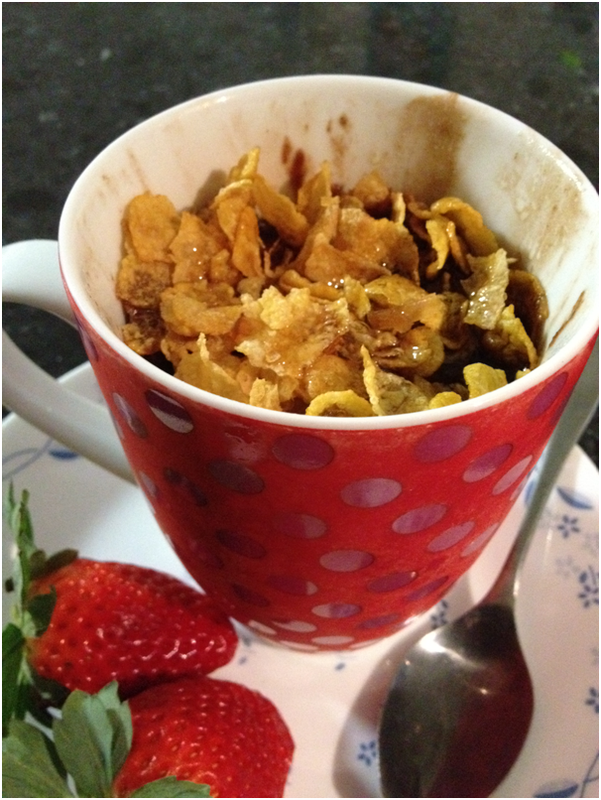 A simple and easy snack with cereal and chocs on top. Best of luck with your exams. 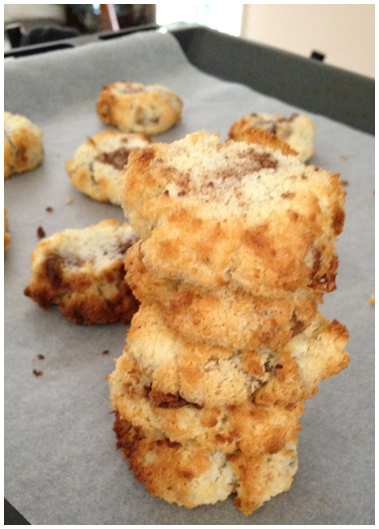 I’m no longer a student… but all these treats that you have just shared on your blog look extremely delicious! I’m sure I’m going to gain a few more pounds soon! This is just brilliant!!!! Love it! Good luck with your exams!!! 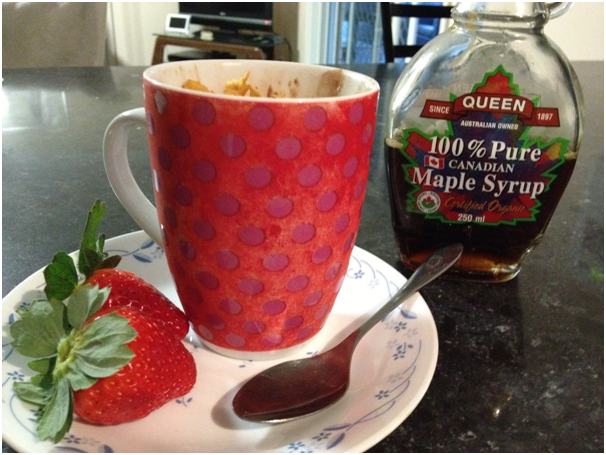 That sounds like great study food, and cool how you made a custard/ French toast creation into mug! Looks totally yummy! Good luck on your exams Uru! Such a lovely spin to put on your exams 🙂 And that french toast in a mug…umm I’m totally making a vegan version of that. It’s happening! Good luck on your exams! You will rock them! 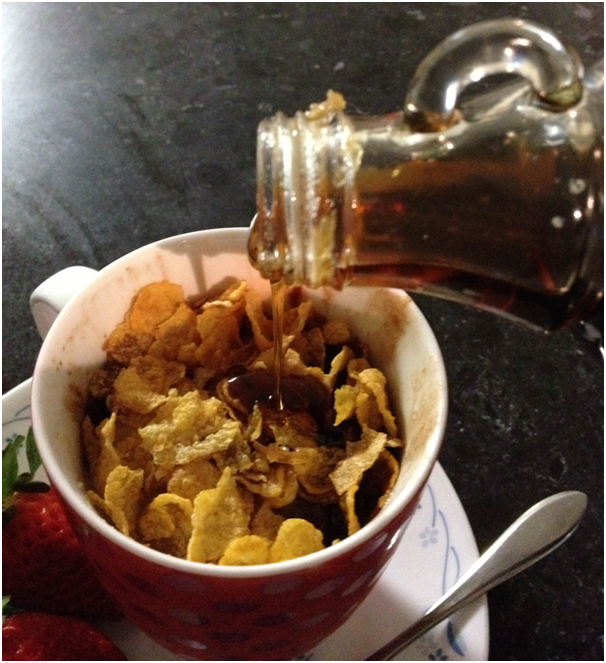 Mmmmm maple syrup…mmmmmm corn flakes…are you sure you’re being productive there? 😛 Good luck with exams! If I knew how to cook back when I was studying, I wouldn’t have been able to concentrate on exams at all! Wow this looks so good and so easy. You really cant beat that!! Your exams will go well, I just know it. Seriously, look what you’re fueled with! With all that energy you’re bound to ace every exam. Hi, Choc Chip Uru! Glad to hear you’re taking time between studies and exams to play in the kitchen! Happy stomach = clear thinking. 🙂 Also, one of the best resources I’ve found re: all thngs French is “Becoming Madame” (her link is on my blogroll) — great overview of French politics, social life, the arts, literature, history and more. Best wishes to you as you wrap up another round, with something chocolate to celebrate a job well done! I am glad you have landed on some tasty things that give you a little time in the kitchen but are big on taste. Some time creating in the kitchen is better than none! I love all the goodies in this French toast as well as the method of preparation. Thanks for all these links-some days you just gotta love the quick and easy recipes. Good luck with your exams! 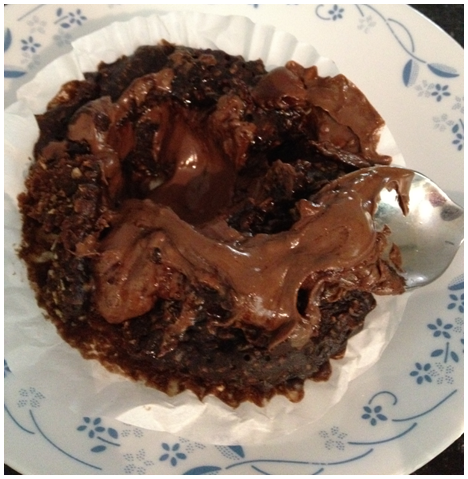 Smart recipes Uru! Good luck with your exams. That 10 minute apple crumble is calling my name! Best of luck with all of your exams – and this french toast in the end … I will try during the coming week – love french toast, but I never do it – because of the mess it does in the morning. This I will give a go – like everything inside it. Can’t wait to try this one out. Thanks a million. Hope your exam went well and you are having tons of fun now! Best of luck with all of your exams CCU – you are such a clever girl you will ace everything! I love all the quick breakfasts especially the french toast recipe at the end! Yummy! As a busy mom, these are my kind of recipes CCU! 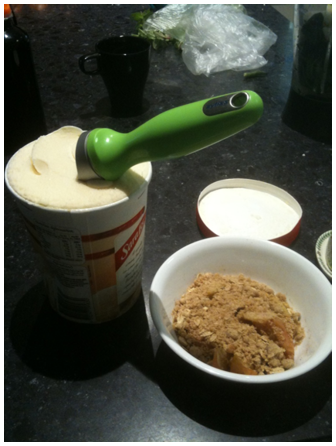 I could go for that 10 minute apple crumble right now! I think blogging should be doing what you can, when you can. Love this post! Good luck on your exams! Thanks for the quick bite links and for the french toast one…I’ll bet that hits the spot on those late nights of studying! Good luck on your exams! I love how you are procrastinating. Your a girl after my own heart. I am sure all your yummy treats will keep you going to the wee hours of the night! Are you doing an IB program? A levels? US program or other? Stay positive and focused. You can do it. And this looks amazing, my friend. Why have I never had a yummy breakfast like this? I love maple syrup on pancakes and Canadian one is delicious. I like this fun idea of making banana french toast. 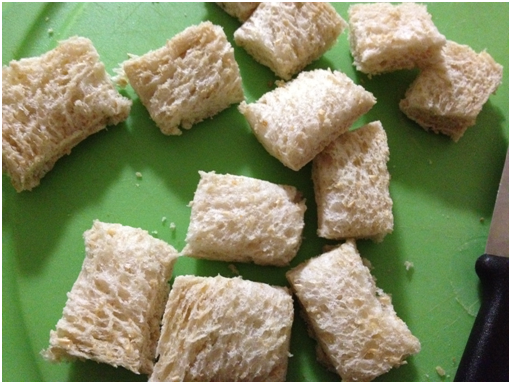 Soft inside and crunchy top. I’m amazed at your productivity but my real question is … who EATS all these goodies? Cause I would be surprised if you’re not feeding your neighbourhood. 🙂 Or are you taking them to school and handing them out to, well, everybody? oh em gee!! 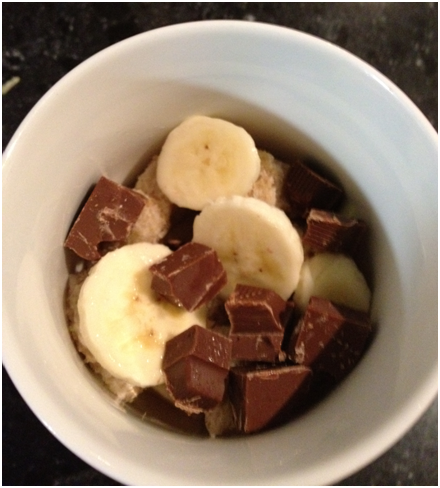 I LOVE that you added some chocolate and cereal to the top! That is genius! And I thought it was just cereal when I looked at the first couple of pictures! Ha… was I way off the mark. I could make that. 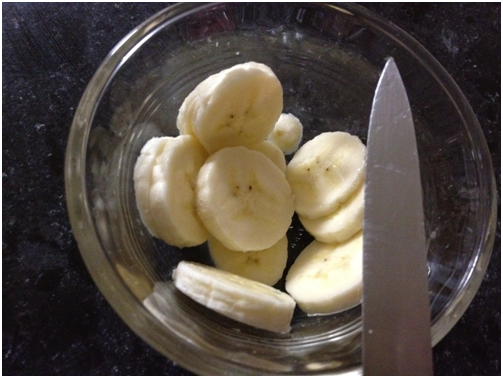 Oh wait, no bananas and no chocolate in the house. Darn. Hey, CCU, do you put it in the microwave uncovered?? ?